Five minutes ago, I remember I was writing a post on my favorite places in 2008 – and then I blinked. People always ask me for recommendations of restaurants to go, that to me, is really a difficult question to answer. So for the final post of this year, I will like to share with you some of the places that I like. One of my all time favorite dim sum place is definitely Yanting in St Regis, I went back again last week and the dim sum is still excellent, they have one of the best char siew sou and egg tarts in town – please do yourself a favor and hurry there. If you have read my finale post for 2008, Royal China at Raffles Hotel is also another place that made it to the list; they serve consistent and good dim sum in the contemporary Chinese restaurant that has ocean blue as the backdrop. This year, with the opening of Ion in Orchard, we have many new restaurants that have entered the scene, one of which is Taste Paradise, the fine dining restaurant of the Paradise group. Their char siew sous are on par with the ones at Yanting’s , and the custard buns are equally delicious. I’m not sure since the start of when, I found myself always thinking of you. 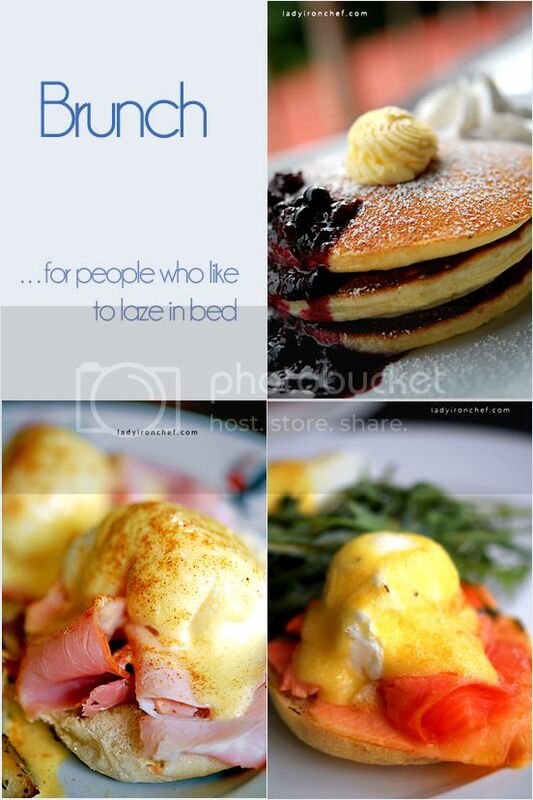 And then I realized, I’m head over heels, deeply in love, to the point of being obsessed with brunch. When people asked me where to go for brunch, I will tell them without any hesitation, Riders cafe. Here is the place where you can look at horsies galloping freely on the greens. Here is the place where you can escape from the hectic city life. Here is the place where you can have brunch at a tranquil and serene environment amidst the lush greenery. My dear, let me bring you to Riders Cafe. In my dreams, there is this beautiful place, with blue skies and clear sea. I dreamt of having my favorite brunch here with the one I like. We eat to our hearts content, and relax there while the hourglass freeze. Without a doubt, Prive has the nicest view overlooking Keppel Bay, and brunch is served till late afternoon. I like Epicurious because it’s unpretentious and cozy, I like Epicurious because they serve simple and comfort food, and I like Epicurious because their brunch is affordable, and satisfying. I’m sure you know I have a sweet tooth, and really, I can’t imagine a day without having any dessert. I’m also sure all of us have different favorite desserts. but whatever yours is, I hope you’re eating it. Canele is one of the most popular & consistent patisserie in Singapore, you can never go wrong with their range of delicate and beautiful creations. The strawberry souffle from Patisserie Glace has such an amazing texture, that we didn’t know why they were able to make the cake in this way, it was so good so we kept on eating it. 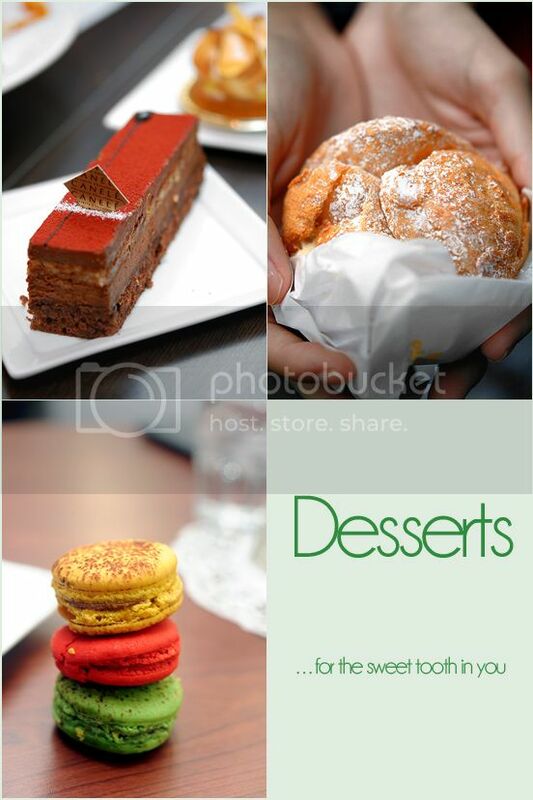 At the east of the island, Obolo is another patisserie that’s known among the dessert-lovers. You know I love you. There are many new restaurants and cafes in 2009, I can easily named a dozen of them that I have yet to try or blog about: Hatched, Hacienda, Jaan, Spruce, Wild Honey, just to name a few. Even among the ones that I went to, I had difficulty in choosing just three of my favorite restaurant that I dined in this year. Last month, I finally went to Raw Kitchen Bar, there’s just something different about this place. Stepping inside, I immediately fall in love with the place; I like how the flimsy light bulb brings out the cozy feel with the different pieces of whimsical furniture. And there’s the quaint and charming backyard that looks like an awesome place to throw a tea party. Au Petite Salut is not a new restaurant, but they have one of the most value set lunches in town. Nestled in the greens of Dempsey, I just wished that I have come here earlier. Somehow a part of me, know that I will like Oriole Cafe even before I went. It’s one of those place that is chic and exudes the laid-back vibe. It is smack right in the middle of town, yet most people isn’t aware of it’s existence. Small, cozy, good food, reasonable prices, totally my-kind-of-place. Oriole! And of all, my favorite restaurant for 2009 will be 7atenine. I love the dining concept where the chef will prepare a menu based on the freshest ingredients, it’s a feast for the senses with their playful presentation of food, with bold and unique creations involved, the classy ambience, and the amazing value. Food-wise, it has been a very good year, and before entering the new year, i figured that it’s nice to look back at the places and things that we have done (or rather, ate) in 2009. Remember, it’s not just about the food, a meal will never be complete without the company of your family & friends. Happy new year! thanks for all your hunger-inducing posts. i’m sure i won’t be the only one telling you how you’ve filled our boring days with awe-inspiring food photos. the only gripe i have is that, i think rider’s cafe is crowded All The Time cos of you!! :/ haha just kidding. have a happy new year in advance! What a lovely entry to end the awesome year! Happy Holidays! and Happy new year too! 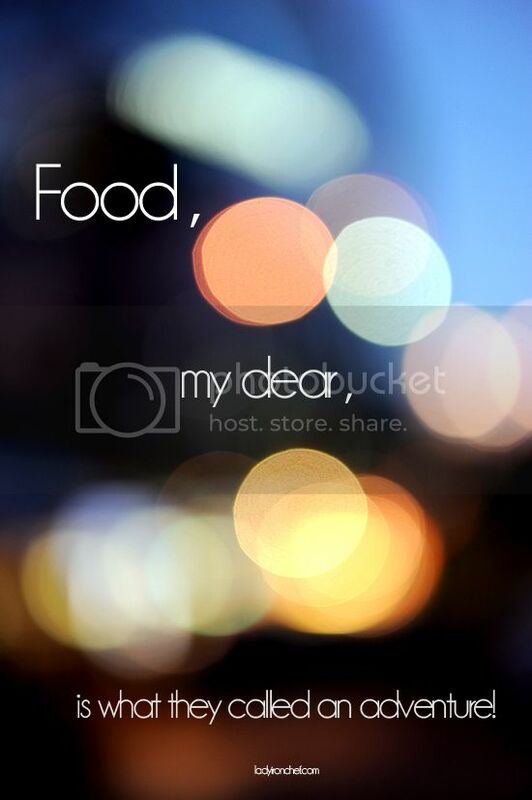 Thanks for sharing all the your food adventures! Happy new year Brad! Will def look forward to coming to Singapore since the food looks sooo good! I like this post a lot. Happy new year and here’s to more good food and a smooth-sailing 2010 to come! 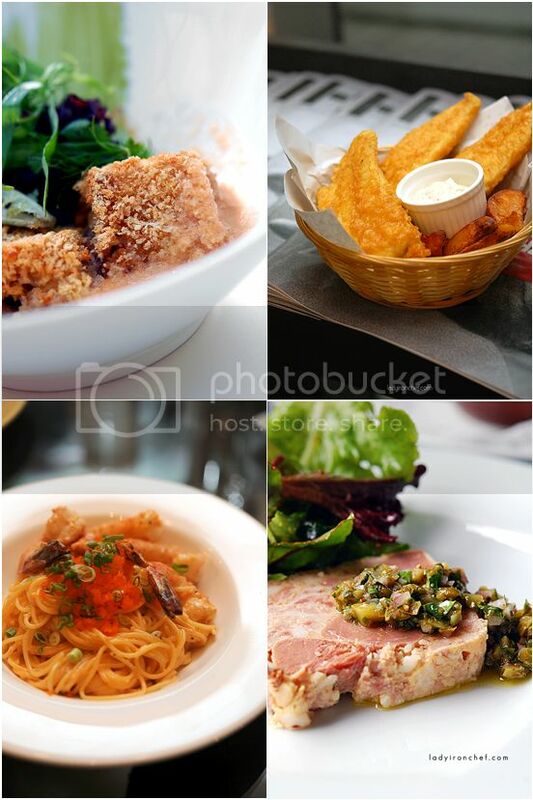 So many restaurants in Singapore I haven’t visited yet… Thanks for taking me to Canele and KPO! Brad, u really are a BDD specialist ! 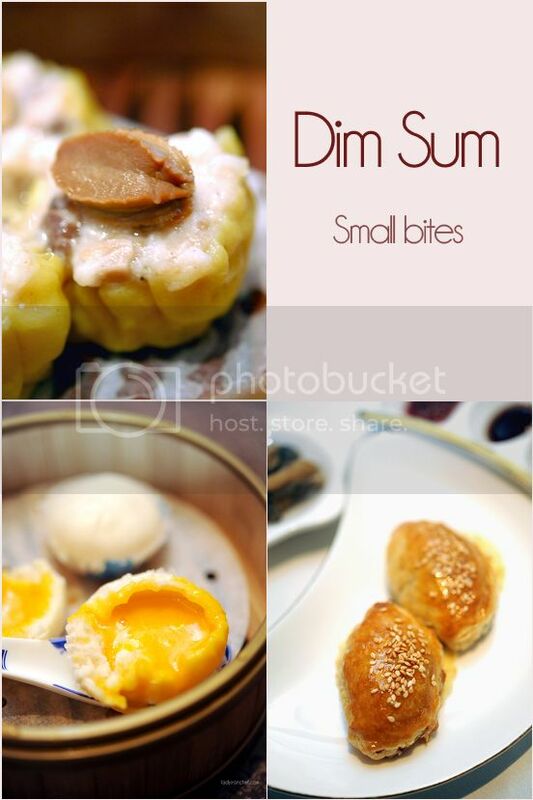 BDD as in brunch, dim sum and dessert. Happy new year and heres to more exiciting blog enteries for LIF in 2010 ! awesome post to end the year brad! =) keep those wonderful photos and food entries coming in the new year! cheers! Looking forward to 2010 and the many more posts of yours! gonna c u soon i hope!! Happy new year to you too Brad! I am glad to at least share a small piece of my gastronomic journey with you in 2009. Hope you have more feasting adventure in year 2010! Well, I am sure you do anyway! Wow, lovely collages of the photos. Have always been amazed by the amount of posts you have put up. Whenever I plan a gathering, I am tempted to drop you an sms to ask you for recommendation. May the brand new year brings you more indulgence to send your readers licking their screen. Of course, may the new semester brings you more aces and distinctions. Happy New Year Brad…all the best for 2010. And thank you for all your lovely recommendations! This just makes me want to fly back to Singapore right now. I miss Canele SO much! Happy, happy, muy happy New Year! Happy New Year! A beautiful pictorial round-up – here’s to more delicious eats in 2010! Shirin: Aww.. I’m flattered! okay when u are back, we can go visit some of the places together! Helen: cheers to more delicious eat in 2010! Wen’s: Thank you, happy new year to you too! Thanks for the drool inducing photos and the recommendations. Not sure if you know that Epicurous has a new outlet at Rail Mall, 2 shops down from Galbiati’s? Makes me sad that I will be moving from the area in a short while. For me, dim sum and sushi restaurants are fave places to go. Plubmlossoms: Hello there thanks for dropping by. Yes I know Epicurious 2 is at rail mall, have yet to try it though. Soon, soon, have you gone there already? happy new year to you too! Wow, what a delicious list and lovingly crafted post! I’m looking forward to your 2010 list already! Wonder what we’ll discover this year, eh? ooh. i’ll have to bookmark this for the next time i’m in singapore.. my trip this time really was too short! and i find it’s extremely hard to make a list of faves (i’m constantly asked to it all the time too), but it’s helpful to people not familiar with the city!